Everything you need to win your next pageant! Sing Like a Star Studios offers Voice Lessons for all ages and experience levels from professional singers to beginners, Songwriting, Piano and Guitar, Lessons for Children, Studio Recording, and Performance Opportunities. We offer a Lessons for Less program with our highly qualified and trained Sing Like a Star Associate Teachers and a very unique Little Stars program for younger singers ages 3-8. You can take lessons from anywhere in the world with our Online Lessons. Any skill you need to succeed and win your next pageant is right here! Amanda’s wonderful and loving spirit, the caring, sincere and positive nature and enormous wealth of experience and professionalism that she possess, with her fine qualities as an upstanding and incredibly beautiful woman – inside and out, are the driving force behind her success as a world-class pageant coach. Amanda has a solid and proven track record as a Pageant Coach and Interview Consultant and has coached numerous state and national title holder who have gone ahead to have amazing careers within their chosen field. Amanda also has a Bachelor of Arts in Communication and has over 20 years experience and a thriving career as a Broadcast Journalist, News Anchor/Reporter, Host and the Producer of Political Talk Show. She is also a Certified NCCPT Fitness and Weight Control coach and has an extensive health and fitness background so has great insight into the necessity of diet, exercise and lifestyle disciplines required to live a health, happy and truly fulfilled life! Her strong community leadership skills is one of the main reasons that we are so happy to have Amanda on board as she exemplifies the importance of forging sound, loving and communicative relationships with those around us having roots in the PTSA where she lends her skills and professionalism together with serving on several non-profit committees and boards. Thomas Barnette has been involved with the Miss America and Miss USA systems for over 20 years. A veteran pageant judge and coach, Thomas has helped to inspire and motivate many young women in these programs to excellence. Thomas is an accomplished and trained singer/songwriter, music producer, classical pianist, dancer, motivational speaker, actor and model. After graduating from Georgia Tech with a degree in Industrial Engineering, Thomas worked in Sales & Marketing for one of the largest industrial distribution companies in the country. 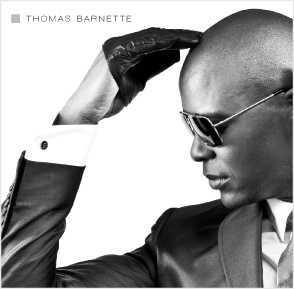 Thomas is currently the owner and Chief Image Director for Thomas Barnette, LLC – his image and life coaching business that encompasses all areas of helping to empower individuals to be the best that they can be. His areas of focus are entertainment/talent, interview and communication skills, paperwork, all forms of stage presentation, image branding, and life skills that lead to success. Thomas has coached in every capacity with many young women who have gone on to excellence in the pageant realm. Some of his clients include (but not limited to) Miss Georgia’s and Georgia’s OT (Carly Mathis, Leighton Jordan, Kristina Higgins, Emily Cook, Chasity Hardman, Leah Massee, Amanda Kozak, Julia Martin, Jameson Kenerly, Camille Sims); Miss South Carolina and OT winners and contestants (Bree Boyce, Sydney Sill, Lindley Mayer, Clarka Wickliffe, etc. ); Miss Tennessee (Chandler Lawson); Miss Florida (Mari Wilensky); and many others top finishers in other states throughout the nation. Thomas has also been headliner performer throughout the Southeast. He was a featured performer at the FOX Theatre’s 75th Anniversary Show, and he has done many theater shows in Atlanta. Thomas was an assistant choreographer for the 1996 Summer Olympic Games Opening Ceremony. Thomas also works as a vocal coach, with students including the last 3 winners of the Miss Georgia Pageant. Recently, Thomas completed his debut CD of original pop/rock music, which is currently on iTunes. He is working on a new album and will be releasing songs throughout 2014.